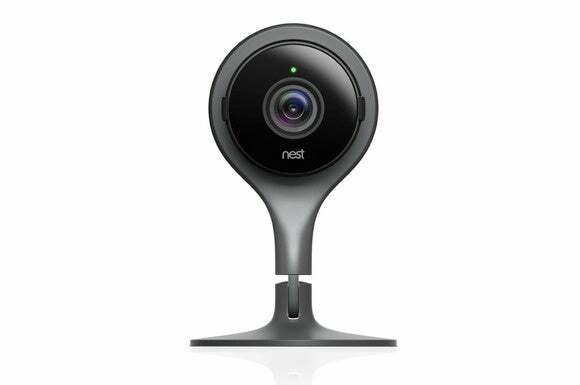 Nest Cam will be Nest Labs' first security camera. The company also announced a second-generation Nest Protect, and new software for its Nest Learning Thermostat. Nest Labs launched two products today: its first security camera, a slimmed-down version of the popular Dropcam Pro called the Nest Cam, and a second-generation Nest Protect smoke and carbon-monoxide detector. The company also announced a software update for its Nest Learning Thermostat that adds at least one new feature: notifications when temperatures in the home drop low enough to freeze pipes. And for the first time, consumers who have all three devices in their homes will be able to access each device from a single app. Like the highly rated Dropcam Pro it replaces (Nest acquired Dropcam in a $555 million deal in 2014), the Nest Cam records video at 30 frames per second in 1080p resolution, and it delivers the same wide-angle 130-degree field of view. Sound and motion sensors built into the camera will trigger the camera to record clips that are uploaded to the cloud. According to a Nest press release, the Nest Cam provides better night vision than the original thanks to new infrared LEDs and algorithms that can discern the difference between a flashlight and sunlight, so the camera won’t become confused and switch to day mode when a bright light passes in front of the camera. The Nest Cam is essentially a slimmed-down version of the Dropcam Pro. If you have a Nest Protect and a Nest Cam in the same room, a camera button will appear on your phone if you receive a smoke or CO alert. Touch the button and you’ll be able to see what’s going on in your home. The camera will also record a clip of what triggered the alert, even if you don’t subscribe to the new Nest Aware cloud service. This feature will also be available with the older Dropcam and Dropcam Pro cameras. Buyers who do sign up for Nest Aware (subscriptions cost either $10 per month for 10 days of storage, or $30 per month for 30 days) will also benefit from more powerful cloud-based motion analysis; they’ll be able to create activity zones within the camera’s field of view, so that alerts are generated only when motion is detected in that area (such as a door); and they’ll be able to edit, save, and share up to three hours of video clips. The new Nest Protect is significantly smaller and features a new sensor that Nest says does a better job of differentiating between dangerous levels of smoke and the harmless smoke that results from, say, overzealous cooking in the kitchen or that wafts in from the barbecue on the patio. 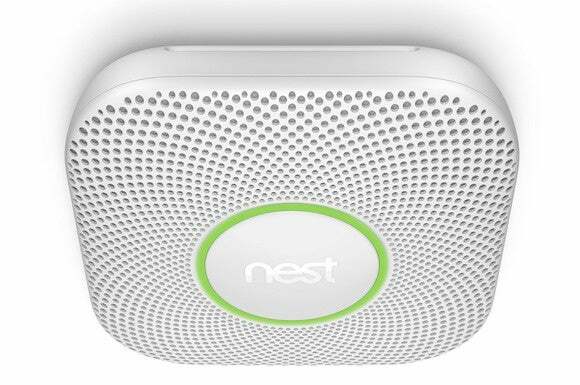 And when the detector does report a false alarm, you’ll be able to silence it with an app on your smartphone or tablet (the first-generation Nest Protect was recalled because its “wave” feature could prevent the alarm from going off in the event of a real fire). The redesign also includes a new smoke chamber that’s designed to address another common complaint about the first-gen product: dust and insect incursions. 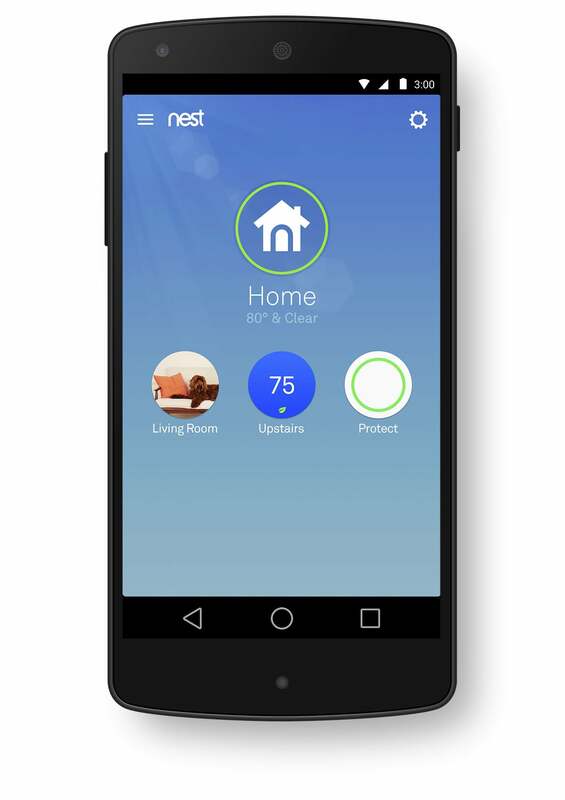 While it retains the same name as the original Nest Protect, the new model features a number of hardware improvements. Experts say you check the status of your smoke alarm every month to make sure it’s in working order, but no one actually remembers to do so. The new Nest Protect will automatically check itself monthly to ensure it’s in working order, testing its speaker and horn and using its built-in microphone to ensure they went off. You can also manually check the alarm using the app on your smartphone or tablet. For even more peace of mind, a new feature called Whole Home Nightly Promise will trigger every Nest Protect in your home to generate a green glow when you turn out the lights to report that everything is in working order, or a yellow glow if there’s something amiss with any of them. 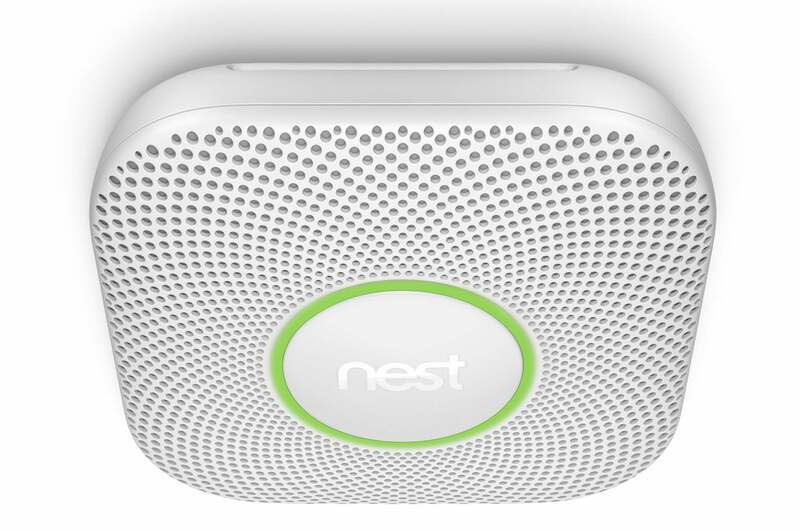 This feature is available in both first- and second-generation Nest Protects. One feature notably absent from the Nest Cam is facial recognition. The ArcSoft Simplicam and more recently, the Netatmo Welcome home-security cameras can both detect human faces and identify who that person is. These cameras will send alerts when an unrecognized person passes in front of the camera, so you’re not bombarded with alarming messages about motion detected in your home. Today’s announcements unify three elements of Nest Labs’ connected-home strategy: Security cameras, climate control, and fire protection. Like Apple with its HomeKit initiative, however, Nest still has a long way to go when it comes to offering a complete connected-home strategy, one that includes lighting controls, smart door locks, door/window sensors, and other home systems. Nest won’t try to reinvent any of those wheels, relying instead on third-party products that use its Thread low-power network protocol. I’m also waiting to see if the company will do anything with the awesome Revolv smart hub that it acquired—and promptly killed—in 2014.